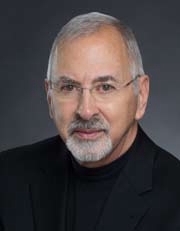 Terence Milligan, DMA, is currently serving as Interim Director of Wind Studies at the University of Cincinnati College-Conservatory of Music, having retired from full-time teaching in May of 2014 after 35 years on the faculty at CCM. During his tenure at CCM he served as Associate Director of Wind Studies, conducted the CCM Wind Ensemble and directed the Graduate Cognate Program in Wind Conducting. From 1979 until 1993 he was also the Director of the Bearcat Bands program. Milligan holds the Doctor of Musical Arts degree from the University of Texas at Austin as well as the Master and Baccalaureate degrees from West Texas State University in Canyon, Texas. He has appeared as a performer at numerous regional and state conferences; at the international conference of the World Association of Symphonic Bands and Ensembles, Killarney, Ireland; at the national conferences of the College Band Directors National Association, the American Society of University Composers, the Music Teachers National Association; and in Taipei and Taichung, Taiwan R.O.C., as a visiting professor at Tunghai University. In 1996, 2006 and again in 2014 CCM presented him with the Glover Outstanding Teacher Award; in 2003 Milligan was named the Outstanding Teacher for the University of Cincinnati Honors Scholars Program; in 2009 UC awarded him the George Barbour Award “for outstanding contributions and excellence in faculty-student relations.” Upon his retirement in May of 2014, UC named Milligan Professor Emeritus of Music. He is a life member of Phi Mu Alpha Sinfonia, Kappa Kappa Psi, the College Band Directors Association, the prestigious American Bandmasters Association and Phi Delta Theta fraternity. Though retired from full-time teaching, Milligan continues to teach as an adjunct professor, assist in raising funds for undergraduate instrumental scholarships, perform as a clarinetist with the Fillmore Wind Band, supervise the Fillmore Chamber Winds and serve on the Board of Directors for Emeriti Professors at UC. In addition to these activities, Milligan is serving as Interim Director of Wind Studies for CCM during the 2016-17 academic year. DMA, University of Texas at Austin . BME, West Texas State University. MA, West Texas State University.